February is National Cancer Prevention Month and at San Cristóbal Cancer Institute we want you (and your patients) to be healthy and achieve the best possible results in cancer prevention. We have consulted some of the leading health and cancer research organizations in the US and abroad, to bring you the best (and most practical) ways to prevent cancer. These helpful tips are useful to build short and long-term habits for patients in Ponce, Puerto Rico and beyond. Maintain a healthy weight: Keep your weight within a healthy range and avoid weight gain in adult life. Next to not smoking, maintaining a healthy weight is the most important thing you can do to reduce your risk of cancer. Aim to be at the lower end of the healthy Body Mass Index (BMI) range. Body fat doesn’t just sit there on our waists – it acts like a ‘hormone pump’ releasing insulin, estrogen and other hormones into the bloodstream, which can spur cancer growth. Stay physically active: Sedentarism is a silent killer (even for physicians!). Make physical activity a part of everyday life— walk more and sit less. Physical activity in any form helps to lower cancer risk. Aim to build more activity into your daily routine. Physical activity also helps to prevent weight gain, overweight, and obesity, which significantly increase the risk of cancer. Scientists recommend that we aim for a minimum of 150 minutes of moderate (or 75 minutes of vigorous) physical activity a week. For cancer prevention and weight control, higher levels of activity provide even more benefit. Work toward achieving 45 to 60 minutes of moderate-intensity physical activity daily. Going beyond 60 minutes daily provides additional health benefits. Emerging research demonstrates that sedentary behaviors – e.g. sitting at a computer, watching tv, – increase risk for weight gain, overweight, and obesity. Break up your day by getting up and walking around a few minutes every hour. Eat a diet rich in whole grains, vegetables, fruits, and beans: Patients should make whole grains, vegetables, fruits and pulses (legumes) such as beans and lentils a major part of your usual daily diet. Basing our diets around plant foods (like vegetables, fruits, whole grains, and beans), which contain fiber and other nutrients, can reduce our risk of cancer. For good health, researchers recommend that we base all of our meals on plant foods. Tip: When preparing a meal, aim to fill at least two-thirds of your plate with vegetables, fruits, whole grains, and beans. As well as containing vitamins and minerals, plant foods are good sources of substances called phytochemicals. These are biologically active compounds, which can help to protect cells in the body from damage that can lead to cancer. Plant foods can also help us to maintain a healthy weight because many of them are lower in energy density (calories). Ditch the fast foods…really: Limiting consumption of “fast foods” and other processed foods high in fat, starches or sugars will help control calorie intake and maintain a healthy weight. There is strong evidence that consuming “fast-foods” and a “Western-type” diet are causes of weight gain, overweight and obesity, which are linked to 12 cancers. Glycemic load also increases the risk of endometrial cancer. Limit consumption of red and processed meat: Eat no more than moderate amounts of red meat, such as beef, pork, and lamb. Eat little, if any, processed meat. The evidence that red meat (beef, pork, and lamb) is a cause of colorectal cancer is convincing. Studies show, however, that we can consume modest amounts — 12 to 18 ounces (cooked) per week — without a measurable increase in colorectal cancer risk. But when it comes to processed meat (ham, bacon, salami, hot dogs, sausages) the evidence is just as convincing, and cancer risk begins to increase with even very low consumption. Limit consumption of sugar-sweetened drinks: Drink mostly water and unsweetened drinks. There is strong evidence that consuming sugar-sweetened beverages causes weight gain, overweight, and obesity, linked to 12 cancers. Sugar-sweetened beverages provide energy, but may not influence appetite in the same way as food does and can promote overconsumption of calories. Limit alcohol consumption: For cancer prevention, it’s best not to drink alcohol. Previous research has shown that modest amounts of alcohol may have a protective effect against coronary heart disease. But for cancer prevention, the evidence is clear and convincing: alcohol in any form is a potent carcinogen. It’s linked to 6 different cancers. The best advice for those concerned about cancer is not to drink. If you do choose to drink alcohol, however, limit your consumption to one drink for women and two for men per day. Do not use supplements for cancer prevention: Aim to meet nutritional needs through diet alone. For most people, it is possible to obtain adequate nutrition from a healthy diet that includes the right foods and drinks. Professionals don’t discourage the use of multivitamins or specific supplements for those sub-sections of the population who stand to benefit from them, such as women of childbearing age and the elderly. They simply caution against expecting any dietary supplement to lower cancer risk as well as a healthy diet can. High-dose beta-carotene supplements have been linked to an increased risk for lung cancer in current and former smokers. It’s always best to discuss any dietary supplement with your doctor or a registered dietitian. For mothers: Breastfeeding is good for both mother and baby. According to experts, breastfeeding benefits both mother and child. There is strong evidence that breastfeeding helps protect against breast cancer in the mother. There are likely two reasons for this. First, breastfeeding lowers the levels of some cancer-related hormones in the mother’s body. Second, at the end of breastfeeding, the body gets rid of any cells in the breast that may have DNA damage. In addition, babies who are breastfed are less likely to become overweight and obese. Overweight and obese children tend to remain overweight in adult life. If you’re planning to breastfeed your baby, your doctor or certified lactation consultant will be able to provide more information and support. Did you know? Particularly for breast cancer survivors, there is persuasive evidence that nutritional factors and physical activity reliably predict important outcomes from breast cancer (learn more here). Not smoking and avoiding other exposure to tobacco and excess sun are also important in reducing cancer risk. Want to learn more about Nutrition? Review our patient treatment options or Contact Us to learn more about how our team can help cancer patients of all ages in Ponce and beyond. 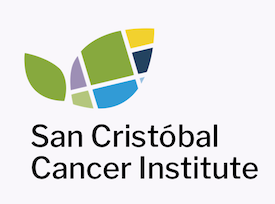 At San Cristóbal Cancer Institute we are your dedicated allies in health. Share this great medical content with your patients today, join our Referral Network or Contact Us to learn more about how together we can improve the lives of cancer patients and their families.